Let me say right up front that not since the old Delta Queen Steamboat Company (with whom I did at least 40 cruises as guest lecturer) have I felt such loyalty to a cruise operator. 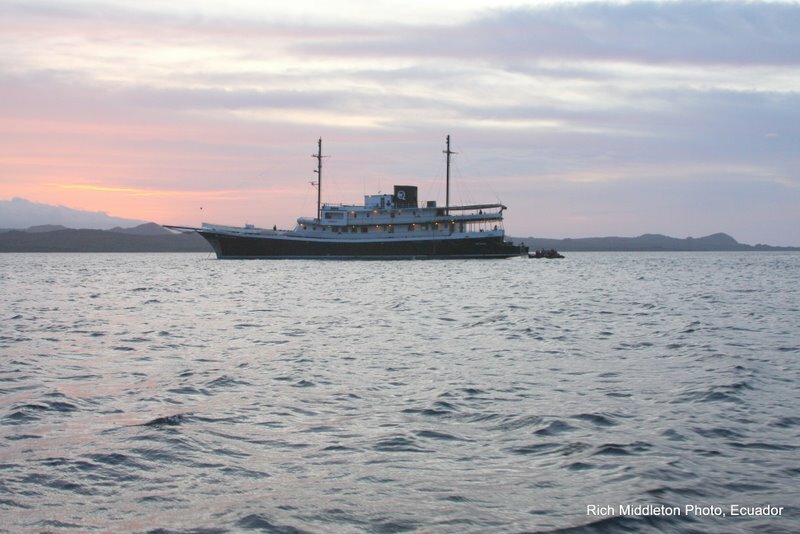 Quasar Expeditions, like the Delta Queen Steamboat Company, operates on passion… not for their business, but for Ecuador and the Galapagos, and for their GUESTS. Once we discovered the 32-passenger Galapagos EVOLUTION and Quasar Expeditions, it was clear sailing… especially in hind-sight…everything about this cruise and our eventual visit to the Andes highlands turned out to be immensely satisfying! 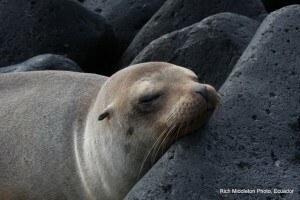 December to May is considered to be prime time, weather-wise, for visiting the Galapagos islands. Our May visit featured rich, green plant-life and fair skies. Every bird species, from finch to Albatross, lizard to seal lion seemed to be nesting, mating, and feeding with abandon. 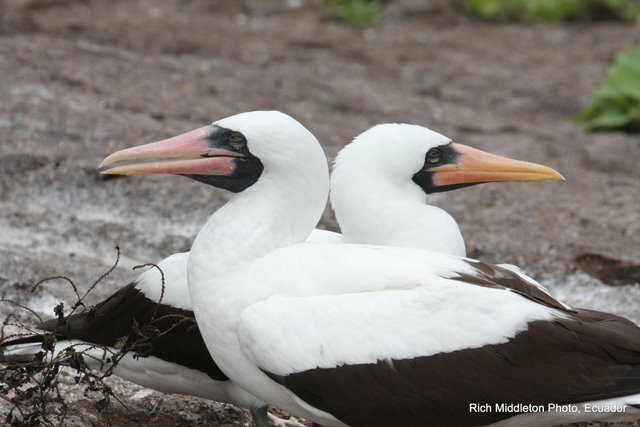 But, honestly, most species in the Galapagos are opportunistic when it comes to reproduction… one month is as good as another for attracting a mate and raising a brood. WHO to travel with is another matter. A rule of thumb, is that smaller vessels rate better access to islands in the Galapagos. But we didn’t really want to risk chartering a small sailing boat with minimal amenities and an unknown operator. 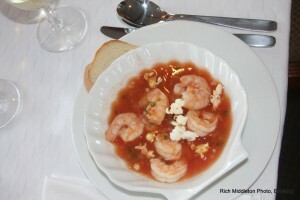 So we had an eye out for a slightly larger vessel, with a luxury tradition. 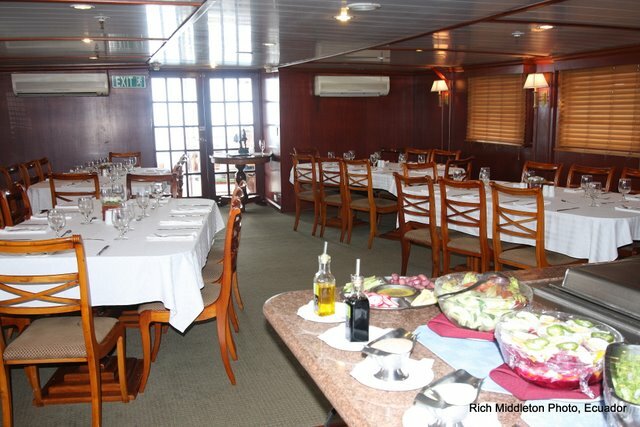 With 32-passengers, a sleek classic yacht design, a modern, informative web-site, and luxury ratings for meals and accommodations, the EVOLUTION seemed to be our vessel. 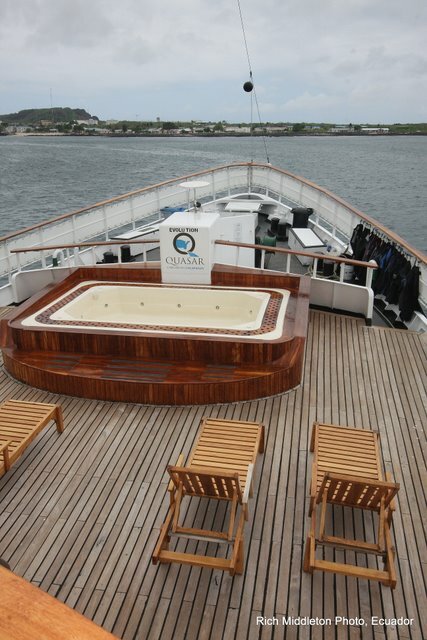 Quasar Expeditions is one of the oldest cruise operators in the Galapagos. 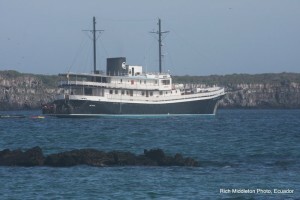 The family has offered cruises of the Galapagos since the 1980s and offered us trouble-free travel planning… both cruise passengers had the advantage of knowledgeable and passionate naturalists, excellent food, and superb access to the islands. Quasar also organized our week-long land tour in the Andes highlands around Quito… Our driver and English-speaking guide took a personal interest in our satisfaction from the moment they picked us up at the airport to the moment they waved us off the Tarmac. While Quasar Expeditions is an Ecuadoran company, every contact we had was with an English speaking individual. From website to office staff, the company is positioned specifically to deal with English-speaking populations. 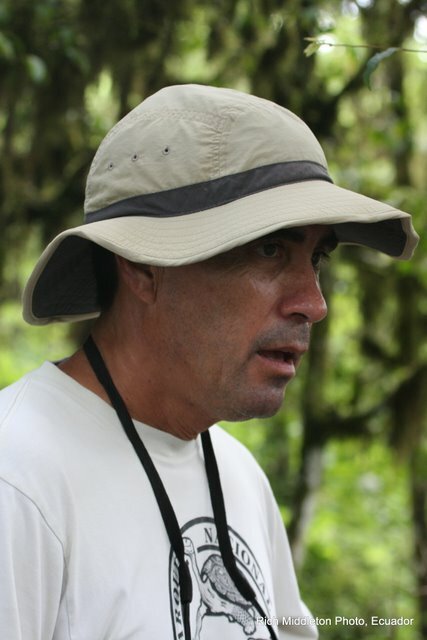 Alex was our preferred naturalist… mainly because of his love of the islands, and because of his 20 years of experience! But for those whose personal perspective is that this was a “vacation” and no “mandatory learning” was allowed, we had a second naturalist whose main focus was “learn a little” and have a great time! Every Galapagos naturalist today is professionally trained to interpret and protect this unique natural heritage. On my first open ocean snorkeling excursion, I panicked and clung to the ladder. “I don’t go anywhere unless you decide to come with me, or get back in the boat,” he explained. “I don’t leave you in the water alone.” I felt absolutely safe with Alex from that point forward. Snorkeling, panga rides, and kayaking were all available options for daily water-based activities. 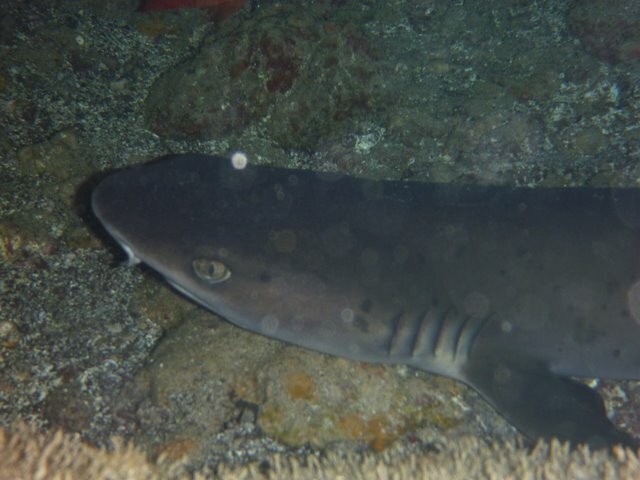 Snorkeling was by far the most popular… Turtles, white-tipped sharks, swimming with sea lions, and even “circling-up” when visited by several hammerhead sharks provided highlites on our EVOLUTION cruise. Oh yes, and we were joined by a pod of leaping dolphins during one of many memorable panga excursions! “I really could not believe it was ME out there snorkeling with Hammerhead sharks!” one Minnesota passenger exalted. 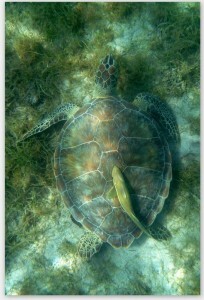 And sea turtles were ABUNDANT in the clear waters! 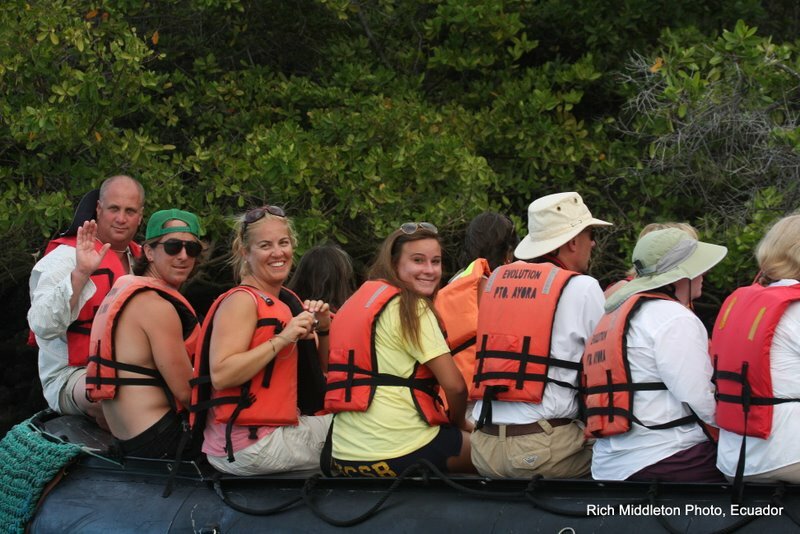 Twice each day, the naturalists led us ashore for an island hike. An afternoon nap was mandatory, so that everyone had the energy to do the really important stuff… like hiking among the booby’s and iguanas, and magnificent Frigate Birds. The AMAZING t hing is that these creatures truly have no fear of humans!! It was as if we had entered into the Garden of Eden. 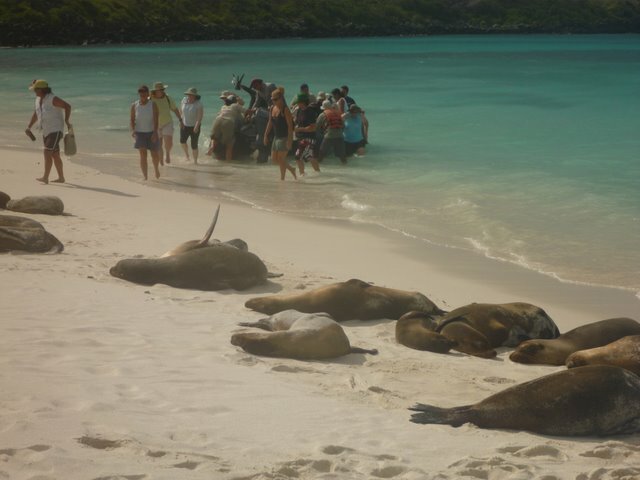 While it is not necessary to be a student athlete to visit the Galapagos Islands, for the first time on any cruise, we found ourselves to be among the older visitors, rather than the younger! It IS necessary to be able to hike for a mile or two… some of it over rocky lava surfaces, or up and down short steep slopes. “Wet landings” are common, so be prepared to swing your legs over the side of a rubber panga! 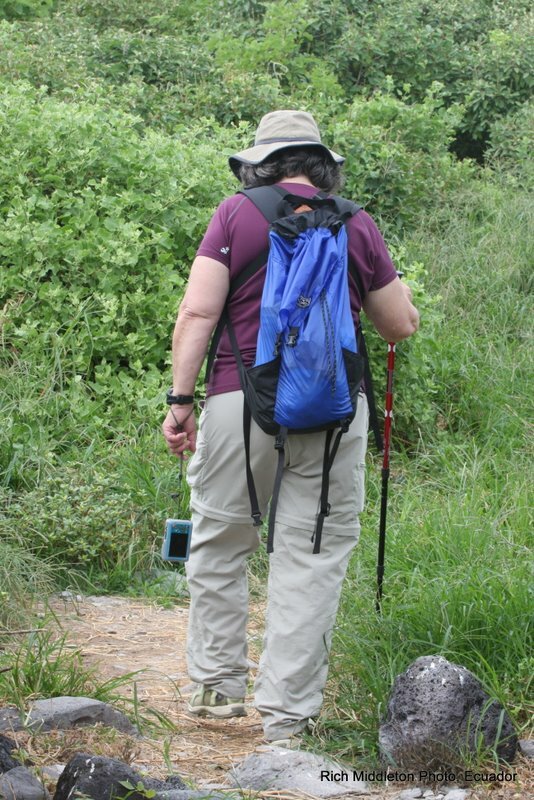 I did bring two pieces of “gear” that I found incredibly useful…trekking poles that could be unscrewed to fit in a small carry-on suitcase, and lightweight Salomon’s “Amphibian” style hiking shoes with webbing. The trekking poles worked great when we were on lava rocks. The specialized water/hiking shoes were great for wet landings. The webbing meant shoes dried quickly. The hiking soles stuck like glue to wet rock and afforded comfortable cushioning for the rest of the hike. Casual dress is definitely the order of the day for this cruise. The Dining Room of the EVOLUTION offered hot coffee at all hours, cookies, tea, and water or Sodas. 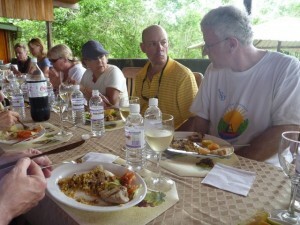 Our hotel manager prided himself on serving excellent meals, with fully dressed tables at every meal. 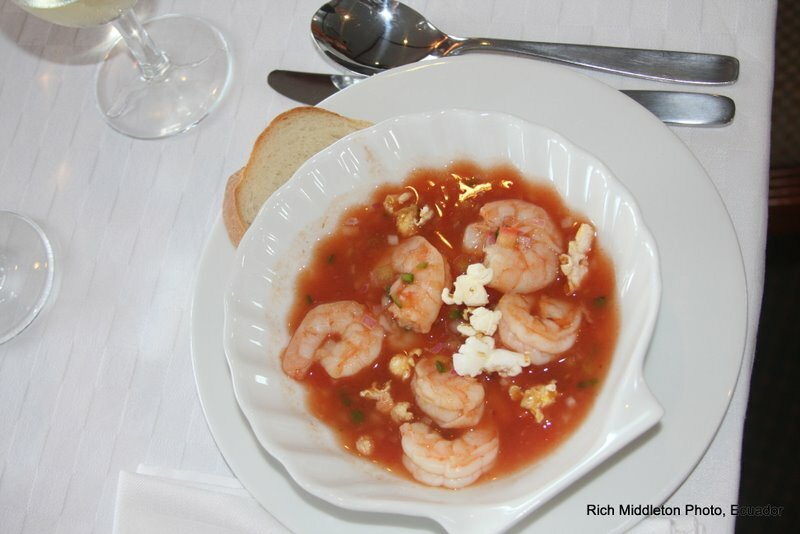 Seafood, meats, and vegetables often with an Ecuadoran flavor greeted us at every meal. For my part, I often chose some of the more casual tables on deck, overlooking the bays and coves of the islands! Birding was excellent, even from the boat. Frigate birds often lined up on the various overhead lines of the vessel. Life on board the EVOLUTION was easy. Our cabins were immaculately clean. In seven days, I never once crossed paths with our housekeepers! … the large hot tub , and the lounge were popular gathering spots. 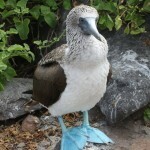 Thank you for following our series on cruising the Galapagos Islands!…. But there is more to Ecuador than the Galapagos. 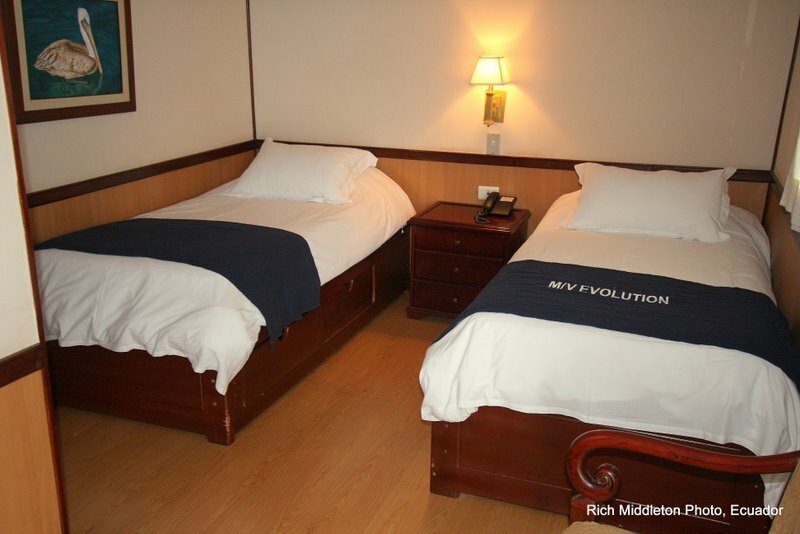 You may decide to add on a visit to the Andes highlands, or the Amazon Jungle. Please check back for a review of our land tour in the highlands. 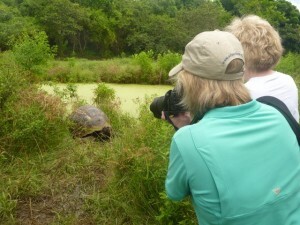 Making the Galapagos Cruise HAPPEN! The Galapagos National Park has become a laboratory for how to manage tourism in ways which protects a unique endemic and indigenous wildlife population. As a result, however, many regulations proposed for 2012 cruises will impose significant limits on how many islands visitors can access in one week. In fact, the impact on the traveler is that an one-week cruise will soon require a two-week cruise to see all twelve key islands and wildlife species that are on your list. 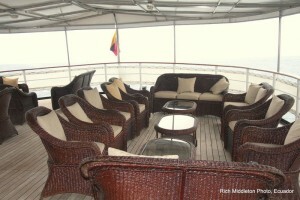 With cruise tickets running at least $3500 per week, shopping for discounts will become increasingly critical. We’ve received some sample itineraries from cruise operators which would come into effect under the new regulations. 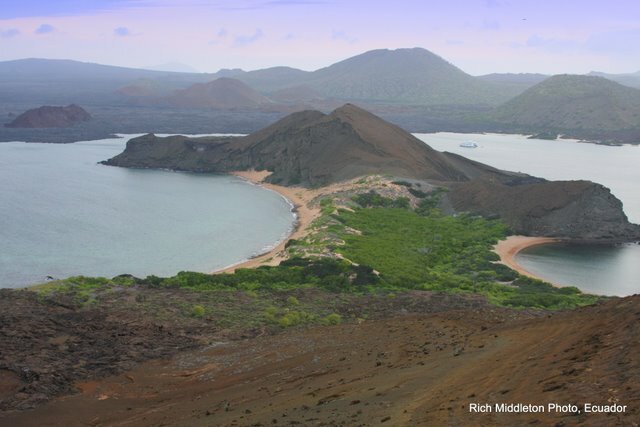 There are some 58 islands in the Galapagos archipelago, which means the park is making a concerted effort to more efficiently disperse the 140,000 visitors currently allowed into the park each year. 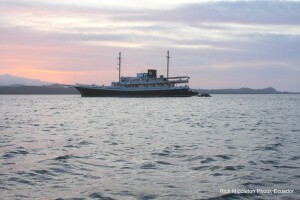 Passengers who chose Itinerary A might visit the Southern & Central islands stopping at La Galapaguera, Cerro Brujo, Punta Pitt on San Cristobal, Punta Suarez and Gardner Bay on Espanola, Punta Cormorant, Post Office Bay and Devil’s Crown on Floreana, Humedales, Wall of Tears, Sierra Negra on Isabela, Bartolome, Black Turtle Cove and South Plaza Island as well as the highlands of Santa Cruz. Passengers who book Itinerary B might visit the Northern & Western islands stopping at Playa Ochoa, Leon Dormido in San Cristobal, Prince Philips Steps and Darwin Bay in Genovesa, North Seymour, Bachas Beach, Darwin Station on Santa Cruz, Punta Espinoza in Fernandina, Tagus Cove, Elizabeth Bay and Urbina Bay in Isabela, Puerto Egas on Santiago, Santa Fe and Rabida Island. By visiting in the remaining months of 2011, it is still possible to visit all twelve key islands throughout the archipelago, and see all the most desirable wildlife and waterfowl within the confines of a one-week tour. We recently returned from a cruise on the 32-passenger classic cruising yacht, Galapagos EVOLUTION (owned and operated by Quasar Expeditions). Quasar was one of the very first cruise/tour operators in the Galapagos. 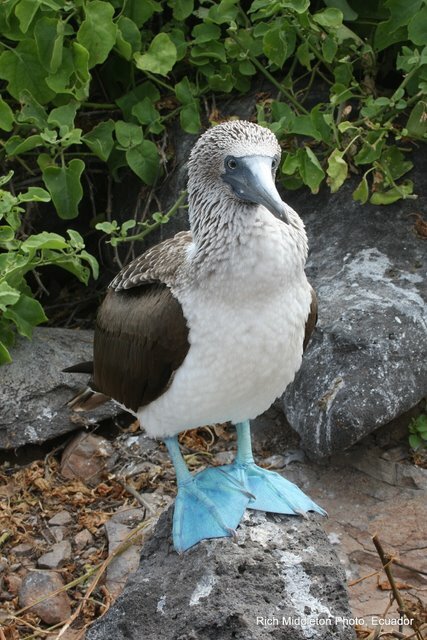 The naturalist on our cruise was born in the Galapagos and had over 20 years of guiding experience. 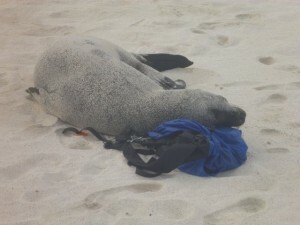 We thought they were a prime example of the “ethical operator” in the Galapagos. Quasar made planning our Ecuadoran visit simple. We found our visit to be very comfortable, safe, and memorable. 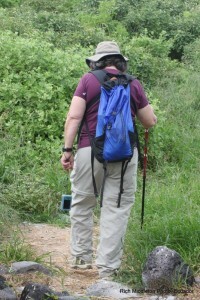 Each day of our EVOLUTION cruise involved two guided land hikes and two water-based excursions. Each island is unique in its geologic formation, and several have one or more endemic populations (found no where else on earth). 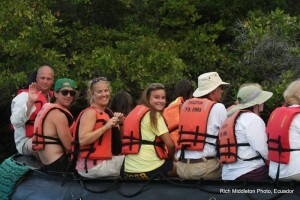 The sea life among the islands is incredibly rich and each day involved snorkeling, dingy rides and kayaking. Among these daily excursions, we had ample opportunities to see iconic species of wildlife that make Galapagos famous: giant tortoises, penguins, frigate birds, boobies, flamingos, Darwin Finches, albatross, flightless cormorant, marine and land iguanas, lizards, many varieties of sea birds, whale, dolphins, sea turtles, sharks and sea lions…. and, yes, we did see hammerhead sharks! 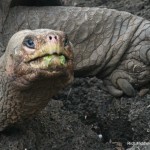 Upcoming blog entries will share our Galapagos experiences with you!! So please return and join our conversation!